The new roofing trend is Steele Roofing I.e Metal Roofing , it is gaining more and more terrain in the roofing industry for both commercial and residential structures. Tile roofing appeared a long time ago and has been a great choice for many homes until now. Steel roofing can offer more durability when it comes to harsh weather conditions exposure and it will not crack or corrode, needing only a few periodic inspections. If you were to do a comparison between the classic tile roofing and the steel roofing, you would be able to see that there are visible and notable differences. While steel roofing offers a great durability through storms or 140-mph winds and does not crack in time, tile roofing does not withstand so easily and bravely to weather problems and it also cracks, needing professional roofers to repair and maintain it through the years. Each tile roofing crack can cause water leaks that damage the windows, walls or even the furniture in your home. Moisture leads to mould that is very dangerous for your health and you may find when it is already too late. Steel roofing will never catch fire if it is struck by lightning or during a wildfire, so it adds to the safety of the house. The weight of the roof is another important thing that you have to consider because if it is heavy, it will need a great structural support. In comparison with tile roofing, steel roofing is lightweight and you do not need to think about adding more money for structural support. 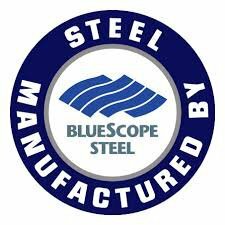 Steel roofing can also help you save money on cooling and other utility bills. It reflects the sun heat and is 100 percent recyclable when it is no longer in use, making its impact on the environment a positive one. Technology has gone wild in the past few years and even if you may think that the tile roofing is the only one that can add a great design to your home, you should know that steel roofing can do the same thing and more. Concrete tiles can be damaged more easily in time and be more expensive to repair or change than a metal roof. When there are repairs to be made, the steel roofing is more durable and resilient and does not pose any threat while walking on it, but tile roofing can crack at the weight of a person and it is quite dangerous. You can also think of the entire costs for installing a tile roofing and a steel roofing. The first one needs a lot more than the second one and you may also have to inspect it and make repairs more often. 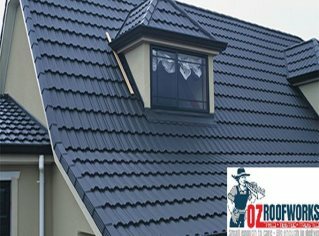 Ozroofworks can offer you guidance and assistance for choosing the perfect roof replacement for your home. Our professional team can explain to you the things you need to know about tile roofing and steel roofing and help you make the right choice, whether you want the first one or the second option.